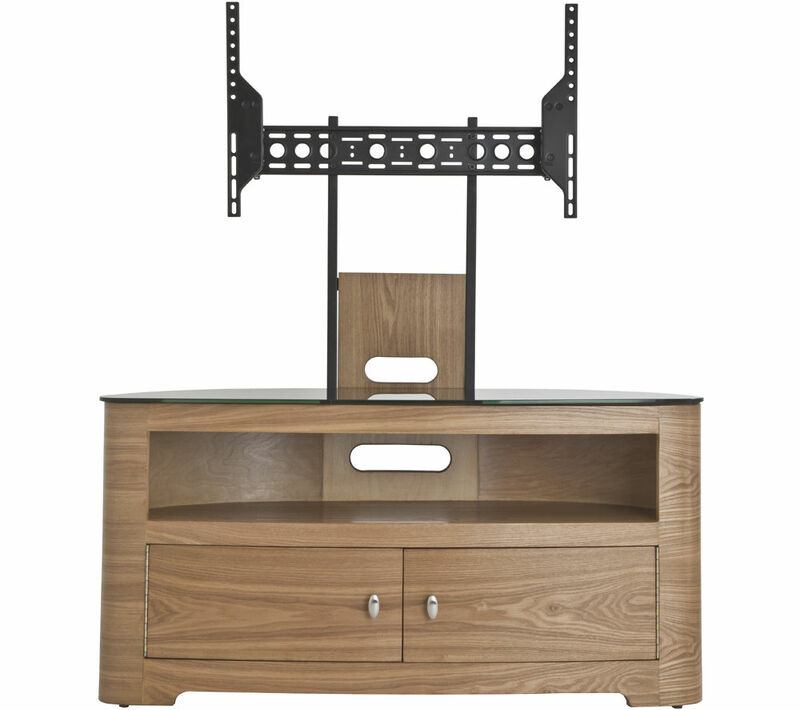 The oak coloured AVF Blenheim 1000 TV Stand with Bracket is a versatile and attractive way to set up your home entertainment system. 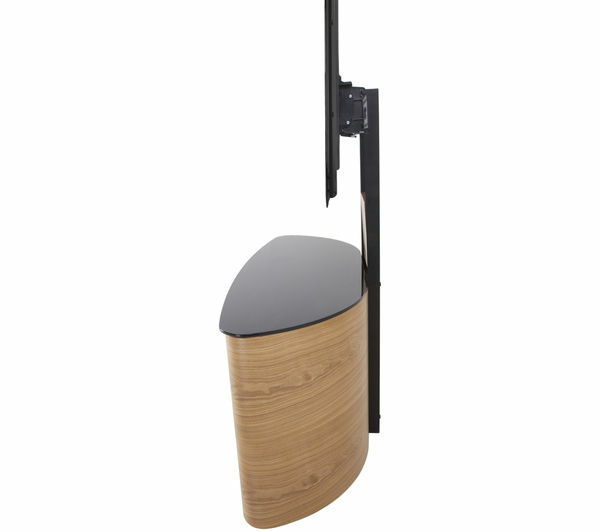 Easy to assemble, this stand is constructed from wood, metal and glass components. Its design is perfectly suited to both corner and flat-to-wall use, making it a striking focal point in any room. 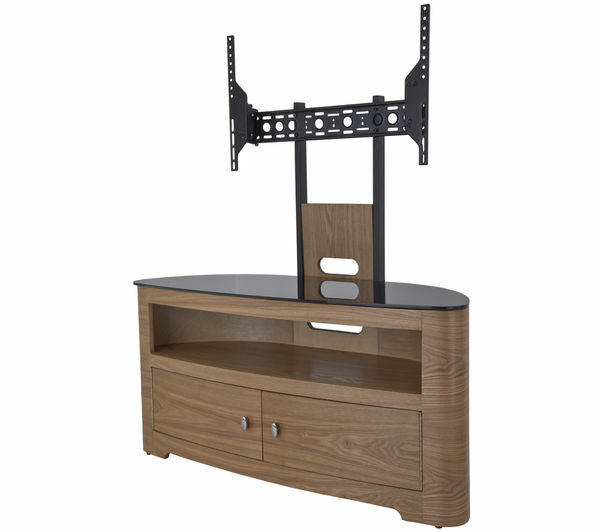 Suitable for televisions between 32” - 65” in size, the stand can be set up in three different configurations, allowing you to choose the one that best suits your needs. Choose to use it as a regular stand, a stand and separate wall mount, or as a stand with a column and wall mount. 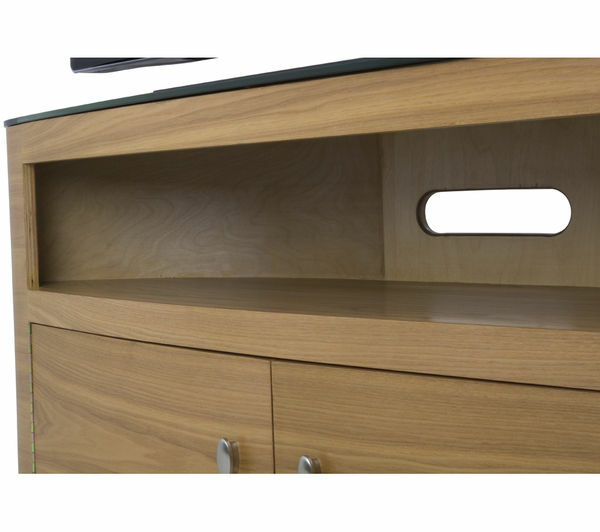 The cabinet section features double doors, which are fitted on piano hinges, which allows them to open 180 degrees, providing superb accessibility. Cable management is incorporated into the stand's design, while a slatted base panel ensures there is excellent ventilation for your electrical devices. 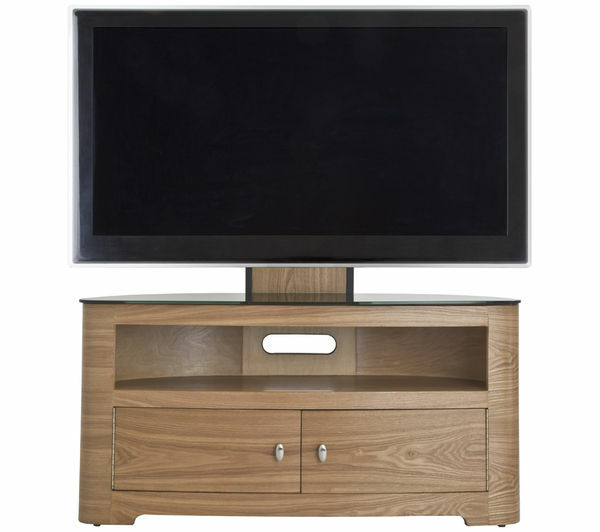 Make sure your television stands out with the impressive AVF Blenheim 1000 TV Stand with Bracket.